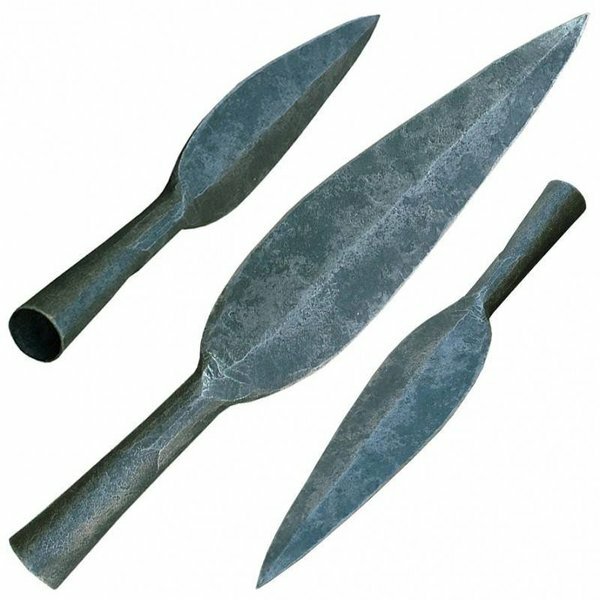 Spear heads like this were used between the 7thand 1stcentury BC. 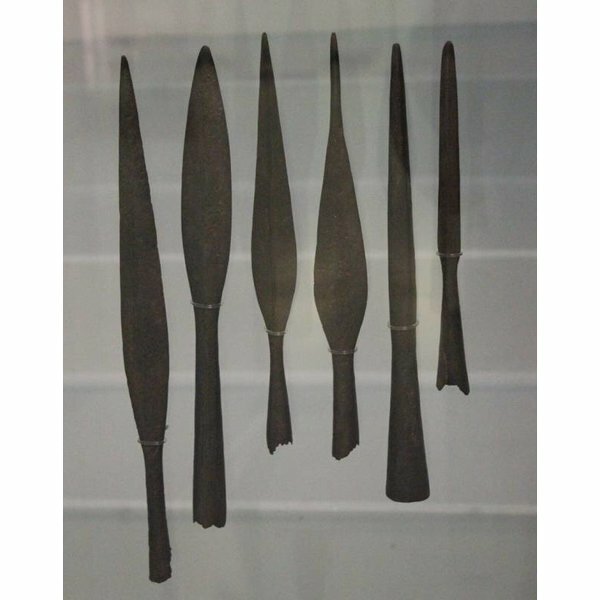 The original of this replica has been found in Gaul and is now part of the collection of the Musée d`archéologie nationale in Saint-Germain-en-Laye (under Parijs). This type was frequently used by the Germanic and Celtic tribes in whole Europe. 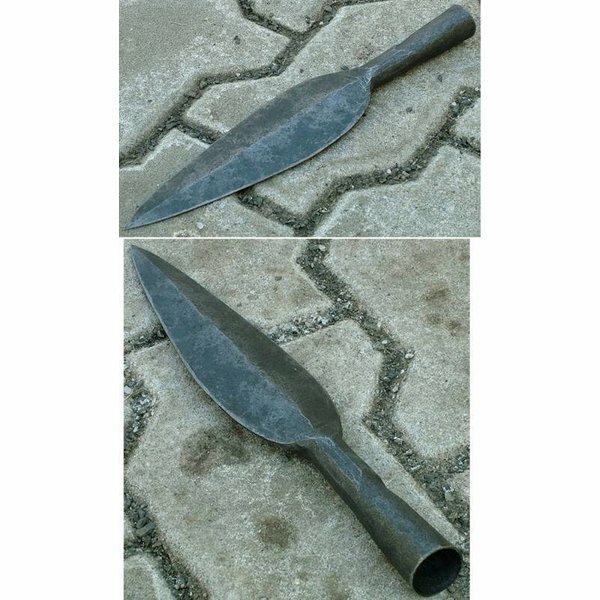 The spearhead is hand made of iron and can be delivered both sharp and blunt. Its length is 25,7 cm and its width is 4,7 cm. It has a shaft ring with a diameter of 2,5 cm. Tip: on many Roman spear heads the owner punched his name. You can do that with this spear head too.